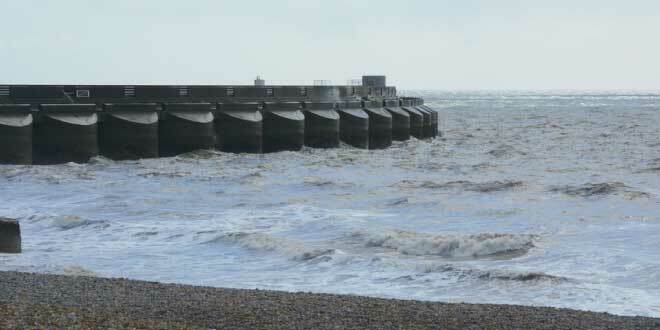 When a 26-year-old man went for a walk on the Brighton seafront one evening, he might have expected to see a few daring swimmers or surfers, perhaps some teenagers on the beach. What he didn’t expect to see were three amphibious humanoids, but this was exactly what he reported to Cryptozoology News. The man, who described himself as a Judokan teacher, was walking home around 10:30 pm and had paused to light a cigarette when he heard noises, above the sound of the waves. He described them as a wheezing ‘oge oge’ sound. Concerned someone was choking or in distress, the teacher went to the rails and looked over, shouting out to see if anyone responded. Down below, he saw three small figures, in a prone position. All three stared up at him for a second, leapt up and crawled back into the sea. He described the creatures as around three feet tall with wide heads and large eyes. While it was dark, he could see clearly under the street lights that they moved quickly to two legs and just as quickly to a frog-like stance before moving back to the sea. Amphibian humanoids are far from unusual in myths and legends around the globe. From mermaids and mermen to merrows, sirens and even the Umibōzu of Japan; cryptid-human hybrids with amphibian abilities are frequently sighted. Time to add Brighton to the list.